What the teachers all ask. A rule of the school. 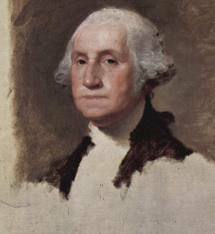 by painter Gilbert Stuart is no mystery. To inform children about history. Is who it is, you see. In God he did trust. Is not a good example. Copyright © 2013 by Charles B. Mayes. All Rights Reserved. money from copying the painting, but never finished the original. Thank you so much for following this blog. I appreciate your interest. If you are stopping by for the first time or again – welcome and thank you also. Other poems are available in a chapbook titled, A New Year Resolution and Other Poems (including The Missionaries) by Charles B. Mayes. It contains 22 poems. The foreword is written by Dr. P.T. Mammen, Senior Pastor of International Christian Center San Jose and San Bruno International Christian Center. I just call it my Praying Chair. For the Lord and me to meet. For life—for me, for you. After the day was done. Perhaps for healing . . .
Coming to the Lord . . .
Getting closer to Jesus . . .
Maybe there’s a special place where you like to pray. In college we had a Prayer Room. The most important thing is to pray. Talk to God as if He were your best friend because He is. If you are visiting this blog for the first time or are returning – welcome and thank you for stopping by. I also really appreciate the followers who receive these poems in their email inbox, and my Linkedin friends. Note: The illustration is not to be used in any way without permission from GospelGifs.com. The above poem was recently published in a periodical. Other poems are available in a chapbook titled, A New Year Resolution and Other Poems (including The Missionaries) by Charles B. Mayes. It contains 22 poems. The foreword is written by Dr. P.T. Mammen, Senior Pastor of International Christian Center San Jose and San Bruno International Christian Center. I was glad to present a poem at an area church Sunday. I would love to do Poetry Reading for your group in the San Jose, California area. If you are interested, please fill out the form below.